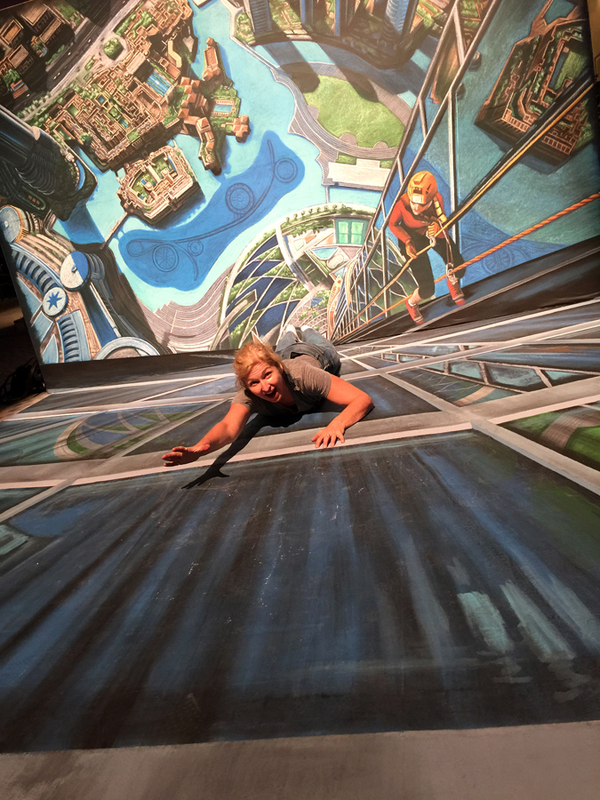 Check out this anamorphic row boat created by renowned chalk artist Tracy Lee Stum. 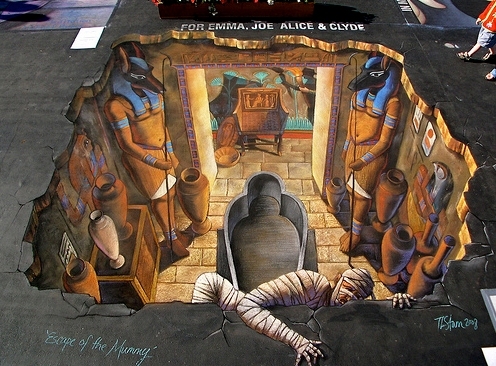 It was painted on a sidewalk at Palm Hills in Cairo, Egypt. 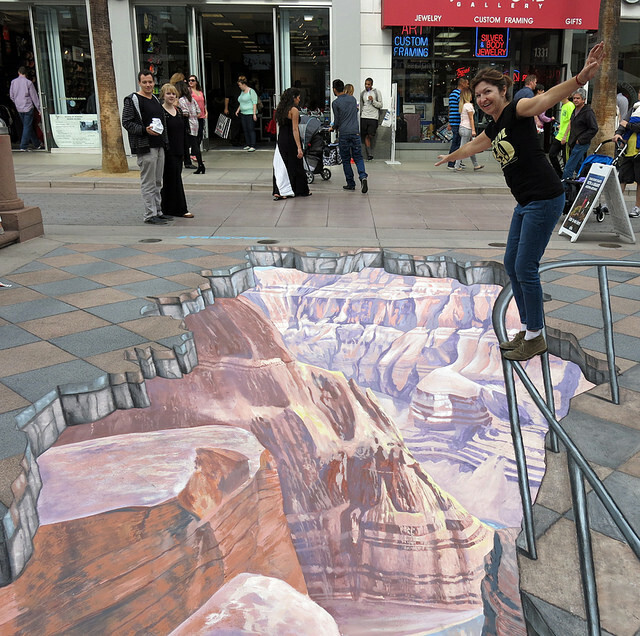 Like all of her work, this piece of sidewalk chalk art is extremely detailed and very realistic looking. I love how the guy in the picture has one foot on the dock and the other in the boat as if he were actually trying to climb aboard. The lily pads and the shadows of the boat and dock are both nice touches to help make this work look even more life-like. 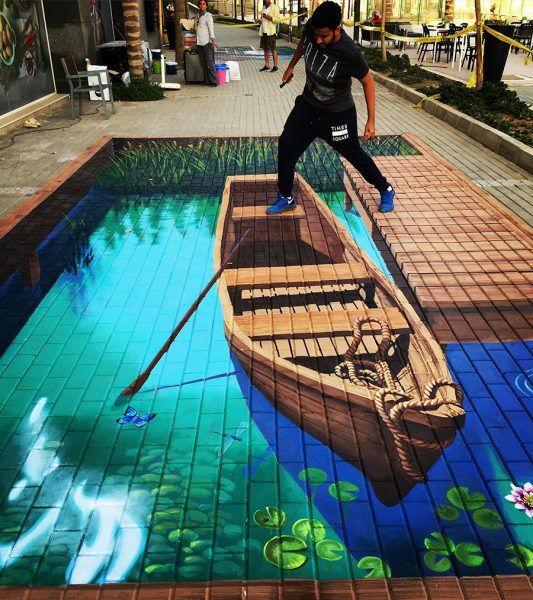 What do you think of this sidewalk chalk drawing?